A quick-fire way of buying amazing real estate is by bidding at auctions. From providing the much-needed adrenaline rush to posing as a fun game, auctions are always interesting to attend. However, buying a house isn’t as easy as buying a new dress for your special event. A number of factors go in to help come to a decision — some of those including ranging legal and financial checks that may or may not be your domain of expertise. We have combined the most needed tips and the best tricks on the market to produce a list that can be the perfect bidding guide for you. Before you bid, you must know what you’re bidding for. A house is much more than just handsome exteriors and plush interiors. You must learn how to read real estate documents and liens. You should be well acquainted with the legal history of the house. Also, before you quote a price, you must know what other houses in the neighborhood are worth. Considerations like your target home’s distance from the hospital and other public facilities, the neighborhood, the norms of the city you’re buying the house in, etcetera should be thoroughly read and assessed. A day before the auction, make sure you know what modes of payment are accepted. If you’re planning to pay through your card and they the auctioneers are an-all cash firm, you may face difficulties – severe ones at that. Keeping in mind the fact that failure to pay once the price is sealed upon puts you in an uncomfortably tight spot — especially with the legal consequences that follow. It is, therefore, better to be prepared and confirm if checks and credit cards are accepted. Also, sometimes auctions charge a tad bit more than the hammer price, what with all the tax culture, you must be prepared with the required sum of money in advance. Often agents claim that once the hammer falls, you’re obligated to sign the papers and the deal is considered sealed. If you try to back off, you’re in legal trouble, or so they claim. But this is a sheer myth. To quote a very famous example, when journalist Amanda Hodge was announced the final bidder of St. Kilda home at an auction, when the hammer banged and hands were shaken, there emerged another bidder just before she signed the papers and the house was eventually sold to the new bidder. So, irrespective of what the agent says, if you’re unsure and need legal advice, find a lawyer and don’t ever act under pressure. The first step is to make a budget, and the second is to stick to it. When researching a property, the bidder tends to fall for it and get emotionally attached. This leads to the bidder bidding blindly. This is a huge mistake. Never bid an amount you aren’t prepared to pay. You must bid only up to two-thirds of your budget. The rest should be reserved for taxes and other expenses. After all, it is never fun to stretch out too thin when it comes to money. Also, if you’re only there to get a first-hand experience of how auctions work and don’t really want to buy the house, get out immediately. If your bid becomes the winning one accidentally, as has happened a number of times in the history of auctions, you can be in serious trouble on a number of fronts. Do not be too excited to bid your top dollar. Go slow, increasing the bid amounts slowly. You may even end up getting a good deal by the end. However, do not be too hesitant to bid either. If the hammer goes down on another bidder, you might feel less-than-confident to bid at all. So be consistent until your budget isn’t exceeded and bid cautiously. It isn’t completely false when people say that afternoons are the best time for bidding. The sun, the oddity of the hour, and the half-drained people make it a success for those who’ve planned it well. Also, it is foolish to wage a bidding war with the other bidders! You might satisfy your ego by the end, but your pockets could grow holes. Do not do things that you would regret when the time for payment comes. Be sure to dress in an appropriate manner. Since we’re dealing with real estate, you may have to traverse muddy barns or non-temperature-controlled environments. Dress in layers, look professional, and wear comfortable clothes. You can also carry a foldable chair in your car trunk just in case you’re late! And don’t forget register for your bidder’s card at the earliest — remember, you can’t bid without it. Often bidders ignore the fact that though they may get a property for cheap at an auction, it may require a heavy sum to get it repaired later on. 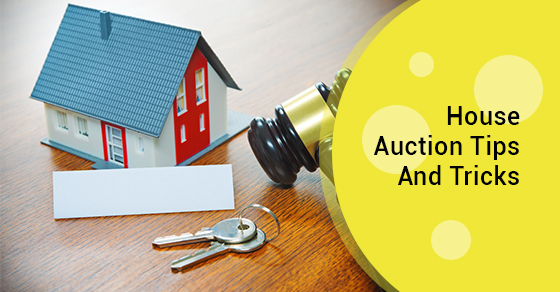 Buying a house in auctions has a certain amount of risk associated with it. Buildings that look attractive from the outside may have serious problems like leakages, creaky woodwork, and mold and termite infestations. It may also turn out to be a half-built structure with no plumbing and other basic things. All this end up being more of a headache to the bidder in the end. Shifting your abode is a huge decision that involves making hundreds of small and big decisions — even keeping aside moving your household stuff to the new place. You must start exploring options for these aspects well in advance. Jiffy Self-Storage provides amazing Moving Storage facilities to help make the process easier. For more information about storage units near you, call Jiffy Storage at (416) 745-4339 or contact us here.